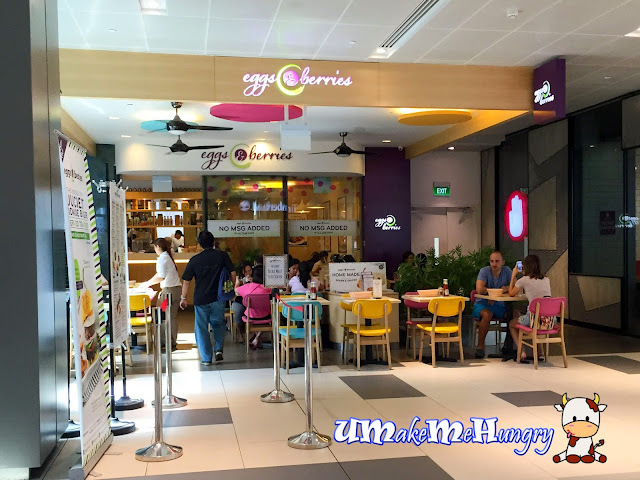 Having been to their outlet in Changi City Point, I was already quite happy to have them setting up new store in the West and just not that, they have 2 outlets in the West, in Westgate and Jurong Point. Emphasizing on eggs cooked in various healthy ways with no MSG added, calories counting diners may enjoy dining here without having too much headaches. Internal seats were all occupied on a usual Saturday when I visited. We took the external seats kicking off with a cup of coffee. 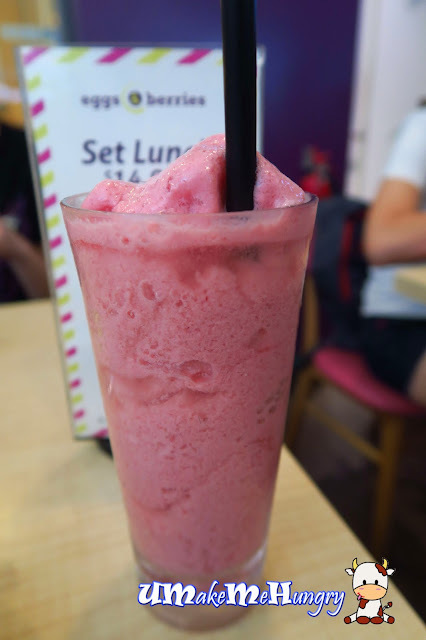 Having said that, there is a range of Smoothies worth trying and I have ordered their recommendation. Refreshingly cool smoothies to the stomach with a mixture of berries using Strawberry together with raspberry, honey, milk and vanilla. Simple with attractive pink soothing to the eyes. 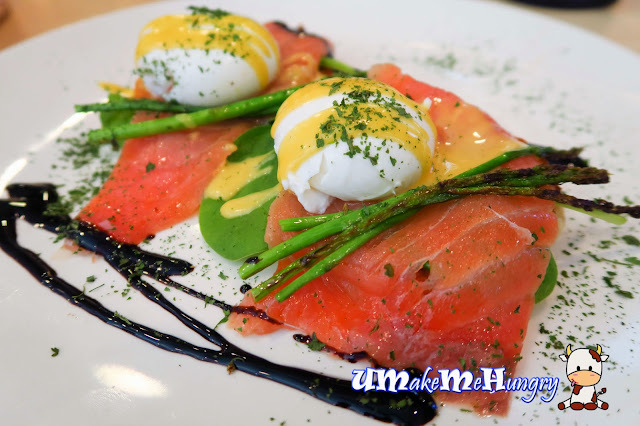 The chef's picks - Eggs Florentine was served with 2 Poached Eggs with muffins, cured salmon, asparagus and spinach. The eggs left me with disappointment as it was overcooked and the flow of yolk was not as consistent as expected. 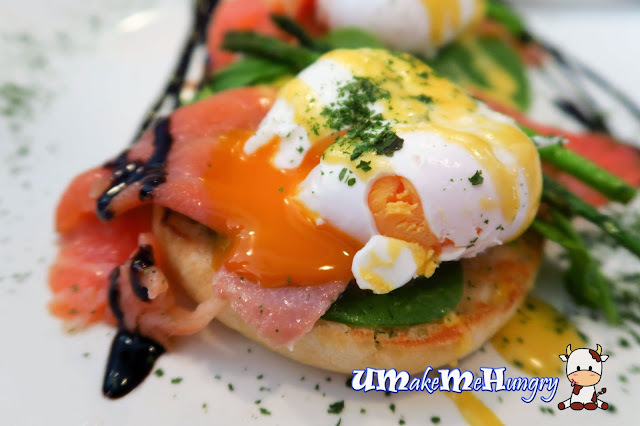 All Time Favorite on their menu will be their in house Eggs Benedict. Since Eggs & Berries' specialties are all onto their eggs, having this just won't go wrong. 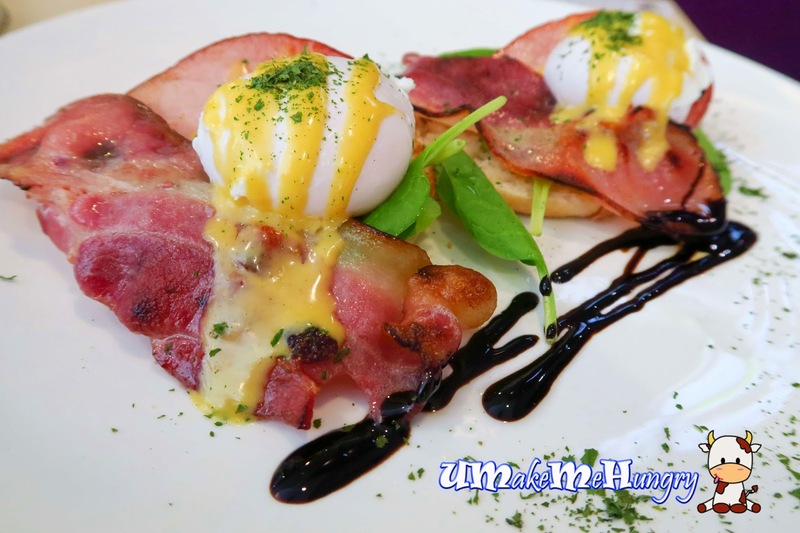 Serving with almost identical ingredients with Eggs Florentine just that the differences are with the bacons and honey baked ham, without asparagus. With them expanding their menu into the main courses as well as pastas, it is likely I will be back to dine again perhaps at their different outlet. So far, services from eggs & berries were rather responsive and friendly.